Custom admissions fields let you track additional information about your Leads. Add them to Leads on Profile > Admissions >Custom Info. After adding it to a lead, it will be available in the various reports in Admissions. Don't use custom fields to record information that Populi already tracks. This results in duplicate, inconsistent, and/or missing information. 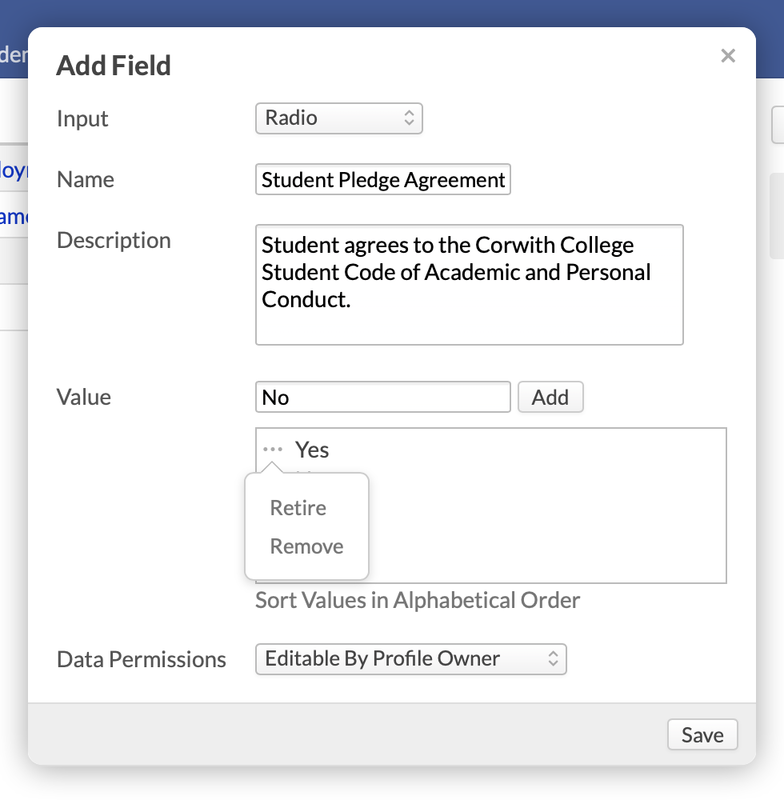 Only create a custom field once you are sure Populi's standard fields cannot store the information you need! To get started, go to Admissions > Settings > Admissions Fields. File/Multiple Files: Creates a custom file upload space. Give the field a name (required) and a description (optional). For the input types that require options, type the options one-by-one. Click ...alphabetical to show them to the end-user in alphabetical order. Otherwise, they'll remain in the order in which you enter them here.